Americans in the northern half of the country will be enduring frigid subzero temperatures this week as a cold front sweeps towards the East. Meteorologists report that this is the coldest air in a generation and that the worst is yet to come. 3 lives have been lost to this weather already and over 2,000 flights in and out of United States’ airports have been cancelled. The effects of these temperatures is already quite visible and, depending on severity, will impact more to come. Chicago, specifically, has been the apple of meteorologists’ eyes as they examine the anomaly that is temperatures colder than parts of Antarctica this week. 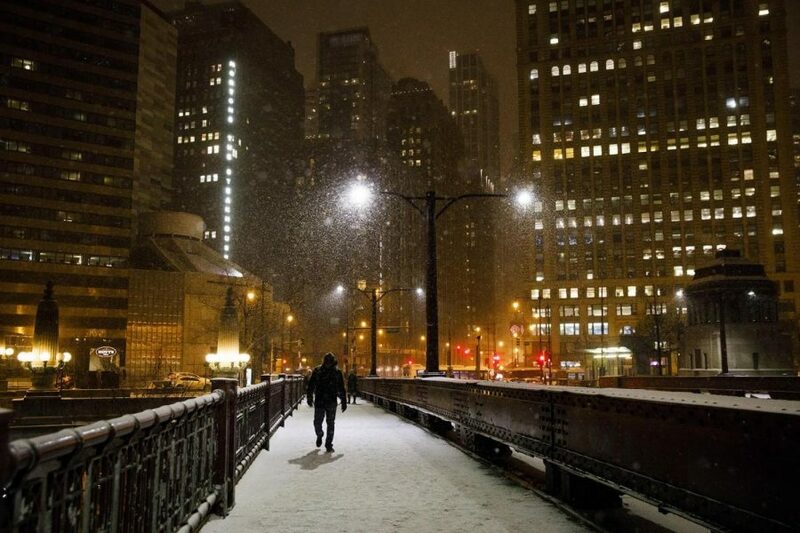 It is reported that the windy city can expect a record low on Thursday morning: 27 below zero. Wednesday is not much better with an expected high of 15 below. For reference, Priestly Glacier, Antarctica has a high of 6 degrees and a low of negative 7 on Wednesday. However, Chicago is not the only city that will suffer these brutal temperatures. This week, the areas surrounding the Great Lakes are expected to have lows between 20-40 degrees below zero, and about 25% of America’s population will suffer subzero temperatures. The biggest thing to watch out for is not the temperatures, but rather the wind chills. Wind chills will come in about 30 degrees colder than the temperatures. The most severe prediction is wind chills at 60 below zero around the upper midwest. These wind chills accompanied by the frigid temperatures pose a risk of hypothermia and frostbite in cases of exposure longer than 5 minutes. The best thing (and really the only thing) Americans can do is buckle down inside their homes for a week’s worth of icy torture.